The Chase Sapphire Preferred® Card is a popular travel rewards credit card that’s ideal for people who dine out and travel often. Though it does come with an annual fee of $95, Sapphire Preferred earns an unlimited 2 points per $1 spent on eligible restaurant dining and travel purchases, and an unlimited 1 point per $1 spent on all other eligible purchases. Plus, it has one of the best sign-up bonuses around: If you can afford to spend at least $4,000 within 3 months of opening your account, you’ll earn 60,000 bonus points. That’s a $750 value when redeemed for travel purchases – more than seven times the annual fee. 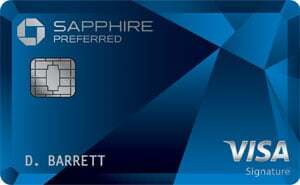 Sapphire Preferred represents a step up from Chase’s basic but popular cash back rewards credit card, Chase Freedom, and a rewards-rich alternative to the low APR card, Chase Slate. When you spend at least $4,000 in purchases within the first 3 months of opening your account, you earn 60,000 bonus Ultimate Rewards points. That’s good for up to $750 on airfare, car rentals, cruises, and hotel stays purchased through Chase’s Ultimate Rewards portal. It’s worth up to $600 on all other redemptions. You earn an unlimited 2 points for every $1 you spend on eligible travel purchases, including airfare and hotel stays, and eligible restaurant purchases. You earn an unlimited 1 point for every $1 you spend on all other eligible purchases. You can redeem points at Chase’s Ultimate Rewards portal. Redemption options include cash and cash equivalents (statement credits, bank account deposits, and gift cards), as well as general merchandise purchases and travel purchases. Points are usually worth $0.01 apiece at redemption, but they go 25% further when redeemed for travel purchases (such as airfare, hotels, car rentals, and cruises) made directly through Ultimate Rewards. For instance, 50,000 points – normally worth $500 in cash equivalents or general merchandise – are worth $625 when redeemed for eligible travel purchases. As long as your account remains open, your points don’t expire. You can also transfer your points to participating frequent traveler programs offered by airlines, hotels, and alliances, at a 1-to-1 ratio – regardless of the monetary value of the participating programs’ points. Participating frequent traveler programs include British Airways, United Airlines, Southwest Airlines, Korean Airlines, Virgin Atlantic, Hyatt, IHG, and Marriott. This can potentially increase the value of your points even more, depending on how you use them after transfer. Chase’s Ultimate Rewards portal offers opportunities to earn points faster. Various merchants represented on Ultimate Rewards offer an additional 1 to 5 points per $1 spent (and sometimes even more) on top of the Sapphire Preferred card’s baseline 1 point per $1 spent. Chase occasionally offers Ultimate Rewards promotions that boost point-earning or -redeeming power. For instance, through April 2019, Ultimate Rewards slashed prices on some gift cards by 10%. Participating retailers included Express, iTunes, and Whole Foods. The annual fee is $95. There are no foreign transaction fees. 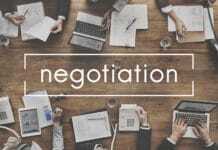 Balance transfers cost the greater of $5 or 5%, while cash advances cost the greater of $10 or 5%. Sapphire Preferred cardholders get exclusive or VIP access to a variety of exciting events, including the PGA Championship and private dining experiences with celebrity chefs. Additional fees may apply. Huge Sign-up Bonus. Sapphire Preferred’s sign-up bonus is among the best in the travel rewards card category: 60,000 bonus points (up to $750 value) when you spend $4,000 or more in eligible purchases within 3 months of opening your account. 25% Off Travel Redemptions. When you redeem your accumulated points for travel purchases (such as airfare, hotels, car rentals, and cruises) through Chase’s Ultimate Rewards portal, your points go 25% further. Put another way, you get a 25% discount on your redemption. 1-to-1 Point Transfer to Other Travel Rewards Programs. Sapphire Preferred has a simple points transfer system. You’re able to transfer your Chase points to participating frequent traveler programs at a 1-to-1 ratio, with no fees or point losses. For instance, 10,000 Chase points become 10,000 IHG Rewards Club or Southwest Rapid Rewards points. By contrast, Citi’s travel cards (such as Prestige) have a more complicated transfer system that can result in point losses or transfers at less than 1-to-1. For instance, 1,000 Citi ThankYou points equate to just 500 Virgin Atlantic Elevate points. Flexible Redemption Options. There are plenty of redemption options including cash and cash equivalents, such as bank account deposits and gift cards, plus a multitude of general merchandise and travel purchases. Airline-specific travel rewards cards (such as Delta SkyMiles and United MileagePlus Explorer) typically require you to redeem for airfare or other travel purchases. Ultimate Rewards Purchases Boost Point Accumulation. When you use your Sapphire Preferred card to make purchases in Chase’s Ultimate Rewards portal, you can dramatically accelerate your point-earning power – up to and occasionally in excess of 5 points per $1 spent over the baseline of 1 point per $1 spent. The Capital One Venture Rewards Credit Card doesn’t have equivalent an option with its own rewards portals. No Foreign Transaction Fees. Sapphire Preferred has no foreign transaction fees. That’s a big plus for frequent overseas travelers (and people who live near the Canadian or Mexican borders). No Penalty APR. Sapphire Preferred has no penalty APR, which is good news for cardholders who miss a payment. Citi’s travel rewards cards, including Hilton Honors and Prestige, impose high penalty APRs indefinitely. 2x Points Only Applies to Certain Categories. Frequent travelers and diners love Sapphire Preferred’s 2 points per $1 spent on dining and travel. But the meager 1 point per $1 spent on general purchases is frustrating for people with more varied spending requirements. A good option to accumulate more Chase Ultimate Rewards points is to sign up for the Chase Freedom Unlimited, which earns you 1.5 points on all purchases, and use it in conjunction with the Sapphire Preferred. Outside of Chase, the Barclaycard Arrival® Plus World Elite Mastercard® earns an unlimited 2 miles per $1 spent on all purchases, regardless of category. Arrival Plus miles are worth roughly the same as Sapphire Preferred points – $0.01 apiece, except when redeemed for airfare, hotels, cruises, car rentals, and other qualifying travel purchases. Sizable Annual Fee. Sapphire Preferred’s $95 annual fee is relatively high compared to competing cards. No Intro APR Promotion. Sapphire Preferred doesn’t have an intro APR promotion, meaning balance transfers and purchases accrue interest at regular rates from day one. While intro APR promotions aren’t too common in the travel rewards world, some exist. No Credit Monitoring or Credit Building Features. Chase doesn’t give you the opportunity to check your FICO score, VantageScore, or other credit measures. It also doesn’t offer any credit-monitoring or -building tools. Discover it Miles and Capital One Venture Rewards both provide FICO score access and credit-building help. By many measures, the Chase Sapphire Preferred® Card is a great credit card. However, it’s definitely not for everyone. Keep in mind that the extremely attractive sign-up bonus, worth up to $750 when redeemed for qualifying travel purchases, requires you to spend at least $4,000 within 3 months of opening your account. At an annualized rate, that works out to $16,000-per-year spending rate – nearly 30% of the average U.S. annual household income. Needless to say, not everyone can afford to reap Chase Sapphire Preferred’s sign-up bonus. And, as this card requires good to excellent credit, it’s fair to bet that many Americans don’t qualify for it anyway. If you need to improve your credit history, Chase Sapphire Preferred is probably out of your reach for the time being. However, that doesn’t mean you can’t work to earn it down the road. For now, apply for a secured credit card, or an unsecured card meant for building credit (such as a student credit card). Concentrate on spending responsibly and making timely payments. Request credit line increases as time passes. And regularly monitor your credit score to track your progress. Who knows? If you’re diligent, Chase Sapphire Preferred’s current sign-up bonus might still be in effect when you’re ready to apply. The Chase Sapphire Preferred® Card is a great travel rewards credit card for moderate- to heavy-spending frequent travelers and diners out. The $95 annual fee is likely to turn off thrifty applicants, but the generous rewards program (including a 25% bonus on qualifying travel redemptions) and huge sign-up bonus offsets its cost for active cardholders. Other benefits include no foreign transaction fees, one-to-one points transfer to participating frequent traveler programs, and very flexible point redemption options. If you’re looking for a travel rewards card that rewards non-travel or -dining purchases, or one with an intro APR promotion, look elsewhere. A great sign-up bonus, generous rewards geared toward travelers and diners, 25% boost for travel redemptions, and 1-to-1 points transfer are all great. 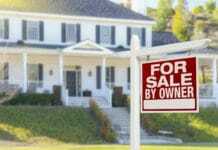 Watch out for the annual fee, lack of intro APR promotion, and pricey cash advances.